The Galaxy S III Alpha is heading to Japan, and it's packing enough power to make you weep just a little bit for your standard Galaxy S III. 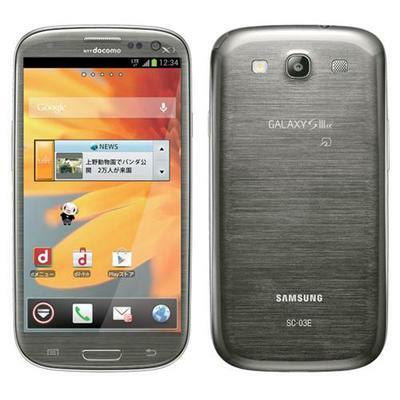 NTT DoCoMo announced its lineup of handsets for the winter today, and amongst them was the Galaxy S III α (Alpha). While it looks like your average variant of the flagship phone, it has some important differences under the hood. As we noted in our Galaxy Note II review, the new phablet looks and feels like a bigger Galaxy S III, but it was packing more RAM and a bigger processor. The new Galaxy S III Alpha is changing all that and is matching the Note II blow for blow with it now sporting 2GB of RAM instead of the 1GB the international version came with, and the 1.4GHz Exynos 4412 quad-core chip getting switched out for a 1.6GHz Exynos 4412 quad-c0re. And while many GS III users around the world are waiting for their handsets to get upgraded to Android 4.1 Jelly Bean, the Alpha is going to arrive with the newest iteration of the operating system. This new version of the Galaxy S III is arriving without much fanfare, so there isn't any indication as of yet that the phone will show up in other markets outside of Japan. Our gut feeling, however, is that this will appear in other locales, we just don't know which one yet.